Firm: Mack & Santana Law Offices, P.C. As founding shareholder of Mack & Santana Law Offices, P.C., Laurie has been practicing since 1994 in complex litigation primarily in family law and related causes of action. in 2017, Laurie was named on the Super Lawyer Top 100 Attorneys list in Minnesota and on the Super Lawyers Top 50 Women Attorneys in Minnesota. She has previously been named as a Minnesota Super Lawyer since 2011, and on the Super Lawyers Top 50 Women Attorneys in Minnesota list from 2013-2015. Laurie focuses on developing creative and practical solutions for clients seeking assistance in family law matters and divorce cases. 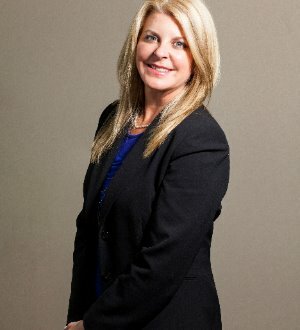 Laurie has efficiently managed multimillion dollar business and family law litigation including also family law litigation with modest estates. Laurie leverages her strong business background when faced with complex financial issues that often surround family law cases. With her practice based primarily in the Twin Cities area, Laurie frequently teaches at legal education seminars in Minnesota, and is the author or co-author of published articles nationally and statewide. Most notably, Laurie is the co-author of the child support chapter in the Family Law Financial Deskbook, first edition, 2008, plus all the subsequent updates, from Minnesota CLE. Prior to being named as a Super Lawyer, Laurie was featured in Minnesota Law & Politics, Who’s Who in Family Law. Laurie is also featured in and is a co-author of the Amazon best seller, A Cup of Coffee with 10 Leading Attorneys in the United States, Rutherford Publishing House, 2016.